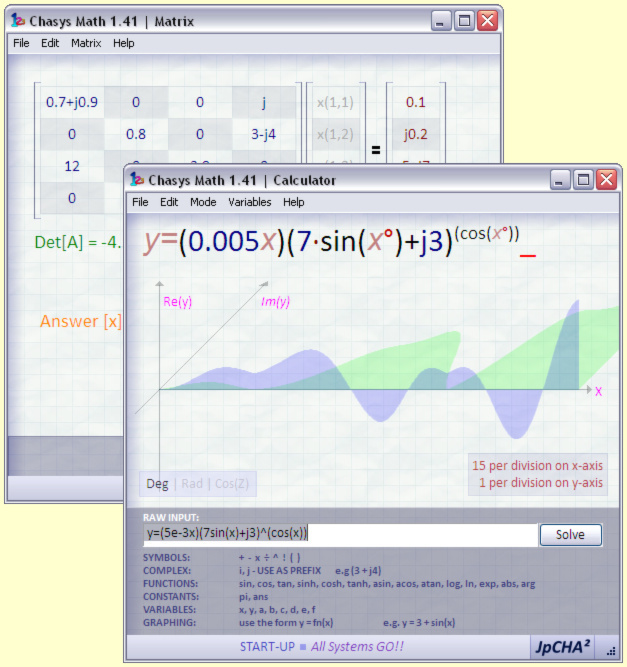 Chasys Math is a suite of math utilities including a calculator featuring graph-plotting, complex numbers and visually-perfect algebraic method (Chasys Math Calculator), and a matrix equation solver that can handle systems of equations as large as 32 by 32 (Chasys Math Matrix). Like other John Paul Chacha's Lab "Chasys" suites, it is Vista UAC aware, lightweight and clean. The help file for this application is still a bit sketchy, as this is a very new app. Kindly bear with me. Thank You! 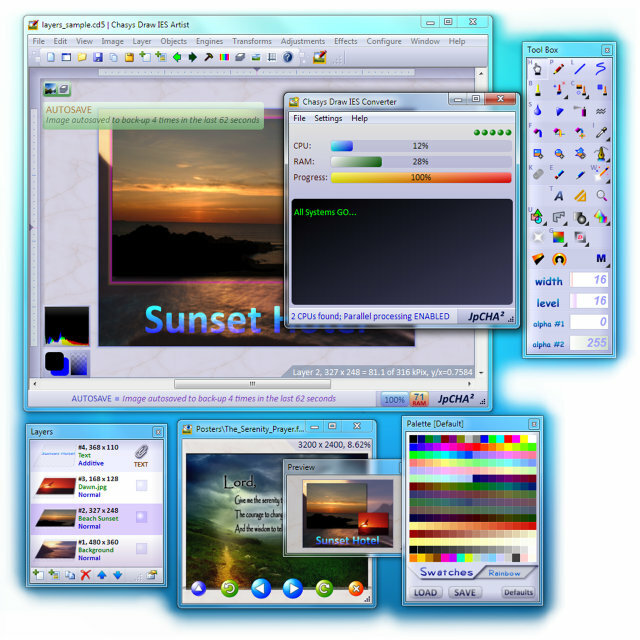 Based on a subset of the graphics and user-interface engines of the award-winning image editor Chasys Draw IES, Chasys Math combines sleek graphics with the raw power of the JpMATH engine complex. This combination results in maximum utility and productivity for the end-user.